Authoritarian Out – But What's Next in DRC? Doubts persist on Felix Tshisekedi victory at the polls. But the national and international consensus seems to be that stability is more important than democratic ideals. On Monday (21.01) the situation was calm in DRC, despite calls for protests by opposition politician Martin Fayulu, who proclaimed himself president over the weekend. While doubts persist about Felix Tshisekedi's victory as confirmed by the Constitutional Court, the greater part of Congolese seems happy with the "semi-victory", as their main fears have been allayed, according to Israel Mutala, an analyst and editor in chief of the online news site 7sur7. "Above all the Congolese feared a third term for outgoing President Joseph Kabila," he told DW. "Another fear was that his favorite, Emmanuel Ramazani Shadary should win at the polls," Mutala said. Both did not come to pass, but the influential Congolese Roman Catholic Church, which says it deployed 40,000 observers to monitor the elections, has dismissed the official outcome. Still, the church is not willing to take up the political fight, said expert Mutala. "It is washing its hand off the whole issue, as shown by its refusal to reveal the name of the supposed true winner of the election," he added. Observers from other international bodies, including the European Union and the United Nations Organization, also pointed to irregularities at the polls. After initially expressing "serious doubts" about the purported outcome of the elections, the African Union (AU) seems to be in a more conciliatory mode now. It "took note" of the Constitutional Court's decision, a first step in accepting the outcome, experts believe. The AU did postpone a planned trip by a high-level delegation to Kinshasa. But Stephanie Wolter of the Pretoria-based think-tank Institute for Security Studies (ISS) put that down to the acknowledgment that, at this point, an AU delegation "was not going to change anything anymore". An added complication was that the delegation was to be headed by current AU chairman Paul Kagame, the president of Rwanda. His insistence on democracy and transparency in the DRC, after having changed his own country's constitution to stay in power, didn't sit well with the Congolese, researcher Boniface Mabanza told DW. "It had the effect of convincing some people that Kagame wanted Fayulu to become president at all costs," said the expert with the German NGO KASA. This gave rise to the suspicion that Kagame was only trying to safeguard Rwanda's significant economic interests in Congolese natural resources. The AU is under pressure anyway to accept the situation, because many African countries and regional organizations, like the 16-nation Southern African Development Community (SADC), lost no time in recognizing Felix Tshisekedi as the new and democratically elected president. "African presidents believe that democracy is great, but for them stability is even more important," Israel Mutala said. Instability in DRC directly affects economic growth in other African countries, he added. This applies, for instance, to the Grand Inga Project, a proposed hydroelectric dam on the Congo River at Inga Falls. "The dam would contribute greatly to reduce the energy deficit in South Africa," Mutala said. Accordingly, South African President Cyril Ramaphosa was among the most insistent that Tshisekedi be quickly recognized as the new head of state. For analyst Sophie Wolter it now remains to be seen how the rest of the international community will react. "Although I don't see where they have much choice but to accept things as they are," she told DW. Analyst Mutala does not expect any serious resistance by the European Union (EU). "The problem is that Europe has failed to prove that the elections were rigged. I think Europe will bow to the dictates of Realpolitik and accept the situation because they will hardly want to risk stability for more uncertainty," he said. Thus, the first peaceful transfer of power from one president to another in the Democratic Republic of Congo since independence from Belgium in 1960 will most likely take place this week. But Joseph Kabila is not about to let himself be completely sidelined. Felix Tshisekedi will have to govern with a Parliament where Kabila's People's Party for Reconstruction and Democracy (PPRD) won the absolute majority, even though their candidate for the presidency came in third. "Tshisekedi's credibility is on the line," analyst Mutala said. The population expects a lot, including good governance, corruption to be fought and "a State to serve all and not just a few." 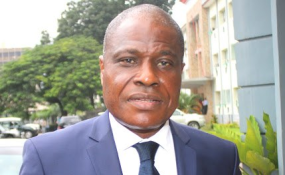 Tshisekedi's challenge, Mutala added, will be "to find a balance between innovation and continuity, to avoid upsetting Kabila, who wields power in Parliament, will control the majority of the provinces and can still rely on the loyalty of the secret services."